CoinBet.cc is a cautionary tale for bettors in the emerging crypto-currency online sportsbook market. Bitcoin has taken the online gambling world by storm and has especially increased in popularity with American sports bettors who have been scared away from traditional fiat-based sites because of legal action by the Department of Justice. Unfortunately, Bitcoin has attracted a host of scammers, dishonest operators and those who are simply in over their head when it comes to managing and operating a sportsbook. Bitcoin, more than any other currency lends itself to scams but has a host of advantages for players as well. CoinBet.cc seems to fall under the “too good to be true” scenario from a bonus standpoint, but they also have a host of predatory language in their terms and conditions. 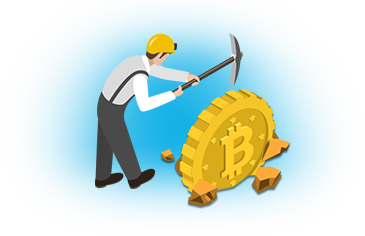 To date, the closure of the site has resulted in perhaps the largest loss taken by players in the bitcoin gambling revolution. A lot of CoinBet.cc’s downfall is tied to poker player and sports bettor Michael Katz. Katz was a disillusioned, but skilled online gambler from the United States who was sick of the status quo in US online gambling markets. With the Black Friday indictments still fresh in mind, he decided to forgo poker for the time being and began to focus on his family and a new start-up business. He also started betting sports using bitcoins. Katz’s story is chronicled in detail at CryptoCoinNews.com and his original post regarding CoinBet.cc is located at BitcoinTalk.org. Katz was extremely high on Bitcoin technology and soon began to invest heavily in the currency. He originally wagered at BitBook, another defunct BTC casino and sportsbook, but lost his balance after running up a decent score. At the time, CoinBet.cc had many negative reviews across Bitcoin forums and some BTC watchdog sites, but also had many positive reviews. Opinions varied across the industry, but their product seemed professional enough in Katz’s mind for him to continue. Katz continued his losing streak that he suffered at BitBook, and began to deposit more BTC as he lost. CoinBet.cc offered a 200% deposit bonus with an attached rollover, but Katz noticed that his rollover amount began to climb even higher each successive deposit. His inquiry with support was interesting to say the least; Katz was depositing hundreds of thousands of USD in bitcoins and was wagering tens of thousands of dollars each night. CoinBet.cc support informed Katz that there was no cumulative rollover system. Katz had wagered over $200k on just 30 bets in the past 24 hours before sending an email asking for a cashout. At the time, CoinBet.cc prided themselves on quick withdrawals to customers, but his requests were met with resistance due to his rollover that was a staggering amount. In the next response, Katz got a different answer from management and/or support. They essentially said the rollover was cumulative and that due to a software glitch, Katz had never successfully zeroed his account. According to support, even if the balance showed zero cents on the main screen, the cents were not truly at zero on the transaction page. So, even though Katz had wagered over $200k in just a single day, he cleared no bonus requirements and could not withdraw one dime of his $150k in BTC. He even got the company to reduce his rollover requirements to around $550k, but management reversed their decision a day later and enforced the $2.2 million dollar rollover. It’s hard to shift the blame to Katz in this scenario, but he should have known better. Few bitcoin sportsbooks take wagers higher than 2-3 BTC. CoinBet.cc was bucking this trend by a large margin. A sportsbook with anonymous owners taking massive wagers is not an ideal shop to deposit your funds. This is on top of complaints levied against the outfit at numerous forums. At this point, Katz was more than fed up with CoinBet.cc’s tactics and wanted to share his experience with other players so they could be avoided. He also likely thought that the court of public opinion would perhaps convince management to change their ruling on his bonus requirements. By joining CoinBet.cc, you agree to keep all experience, winnings, losses, payouts, disputes, and gameplay confidential and are forbidden from releasing any information publicly, including but not limited to, message boards, news agencies, forums, blogs, or other websites, without the express written consent of CoinBet.cc. Any information publicized without the express written consent of CoinBet.cc will result in immediate termination of the account in question and forfeiture of any winnings or account balances. He was warned by management that if he posted his account of what happened with CoinBet that he would be violating these terms. Backed into a corner, Katz decided that the money was as good as gone if he went public. Instead, he decided to make an attempt to clear the rollover. Considering his money basically lost if he exposed their scam, Katz put in about 230 bets of $10k or more and bet over $2.2 million. He wagered another $2.2 million on top of that and hoped that would be enough to clear the rollover. CoinBet still disagreed. At this point, he had enough. He pressed support and management for a resolution to this issue. Management offered him three choices: Get a refund on his last deposit of $6,000 while closing his account that now had $300,000 worth of bitcoins. Become a sportsbook consultant for CoinBet and receive equity. Lastly, he could continue to play through his apparently never-ending rollover. After looking at these miserable options, Katz decided that he would expose these criminals to the world. He then posted the in BitcoinTalk thread, which detailed his experience at CoinBet.cc. Katz wasn’t the only one scammed out of his winnings. Many players lamented their lost balances and lack of replies from support after the closure at BitcoinTalk. A gaming focused blog, called Simon’s Blog Park looked deeper into the issue. Apparently, Simon’s blog was approached by the owner of CoinBet for advertising, who was apparently a man by the name of Paul Regan. However, there’s a decent chance this was just an alias. It turns out CoinBet had $30k in marketing costs and an unknown amount of capital backing the book. This amount was likely not a lot. As Simon also points out, these guys were spammers. They were paying sites on the first page of Google for positive reviews and spamming every single BTC, sports betting, and gambling forum online. He also makes an interesting point about casinos that have tons of spam in their backlinks and urges players not to trust them. I concur with his assessment. Stories like this and other BTC gambling sites going down tests the trust that players have with this emerging market. It’s a damn shame because bitcoins are an ideal currency for online gambling because of their non-existent processing costs, fast cashouts and immunity from government seizures. We always tell players to research sportsbooks heavily before depositing, but this goes tenfold for BTC gambling sites. Players can’t rely on a site that has been around for ten years like they can in the fiat-currency market. Since the industry is so new, there’s few sportsbooks that have been around more than two years and even fewer that should be trusted.